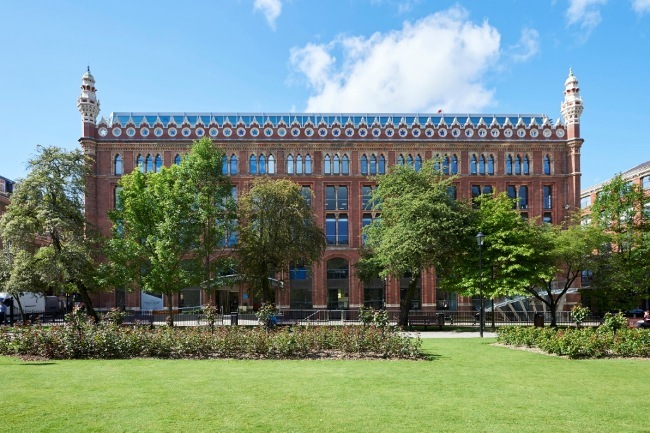 EPIC will be welcoming Sedulo Group to St Paul’s House, a stunning Grade II star listed office building overlooking Leeds’ picturesque Park Square. Sedulo Group will occupy 6,534 square feet of the 65,066 square foot property, and is set to move in in March 2018. The Leeds office of Knight Frank and AWS represented EPIC in the deal. Sedulo is a provider of commercial accounting and business consultancy services. Following the acquisition of a long-established accounting firm, the company plans to create an exciting 1920’s themed co-working space modelled after the existing Regency Club at their Manchester headquarters. Sedulo was drawn to St Paul’s House by its heritage, location and beauty. The tenant hopes to pay homage to its history while transforming its work space into one fit for 2020. Sedulo’s Leeds office will feature a 1920’s Great Gatsby bar – serving breakfast and afternoon tea to staff/clients/ corporate partners – meeting rooms with table tennis, a chocolate shop and much more. Events in the pipeline span from digital and financial seminars to boxing matches and World Cup showings on the office Cinema Screen. The space is ideal for collaboration, creative thinking and idea generation, offering a relaxed atmosphere designed for tenants to work as well as socialize. EPIC acquired St Paul’s House in March 2016 with 30 per cent office vacancy. Since purchase EPIC has focused on letting the vacant space and improving the communal spaces, adding facilities for cyclists and those wishing to exercise from the office. The letting to Sedulo brings the available space in the building down to 17 per cent. Agents for the building report significant interest in the remaining two suites, one at 2,814 sq ft and the other at 8,364 sq ft. The building is managed by EPAM, a niche property and asset management specialist that offers a premium service to owner investor clients.